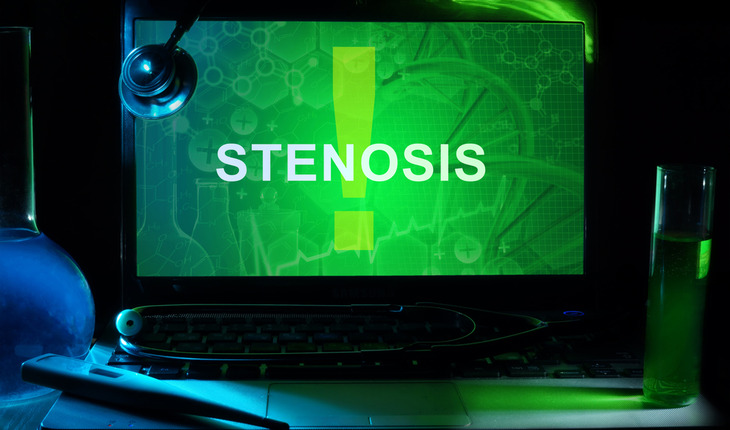 For first time, research shows that physical therapy outcomes can be as successful as the results of surgery for older patients with stenosis, a narrowing of the spine. Symptoms of lumbar spinal stenosis, an anatomical impairment common with aging, were relieved and function improved in as many patients utilizing physical therapy as those taking the surgical route, University of Pittsburgh researchers discovered in a two-year study published in April 2015 in Annals of Internal Medicine. A release from the university notes that this is the first study that clearly compared outcomes between surgery and an evidence-based, standardized physical therapy approach for lumbar spinal stenosis. The condition, created by a narrowing of the spinal canal that puts pressure on the nerve roots resulting in pain, numbness and weakness through the back and lower extremities, has caused decompression surgery to become the fastest-growing intervention in today’s older population. A total of 169 patients aged 50-plus already headed for decompression surgery agreed to be randomly assigned into two groups: Those who would have the procedure, and those who went through two standardized, evidence-based physical therapy sessions per week for six weeks. After both groups were re-examined at intervals of six months, one year and two years, the patient outcomes appeared to be equal. There were no detectable differences between the groups in how their pain abated and the degree to which function was restored in their backs, buttocks and legs. Dr. Delitto, a physical therapist, and his SHRS colleagues have long puzzled over why some patients reacted well to physical therapy (PT) and others to surgery. The research project also revealed issues surrounding PT appointments and the cost of co-pay, which may prove enlightening to policymakers enmeshed in the charged atmosphere around health care, Dr. Delitto added. Most patients didn’t finish the PT regimen allowed them under Medicare and prescribed by the researchers, and one-third of the patients failed to complete even half of the regimen. Another 16 percent didn’t show for a single treatment, though they had agreed to consider PT. The Foundation of Physical Therapy announced in early February that SHRS and HPI are being partnered with Brown and Boston universities in a five-year, $2.5 million program to generate pilot studies as part of the Center on Health Services Training and Research, the first-ever grant to train future researchers and scientists in PT. In mid-February, Spine published a Pitt/UPMC research project showing the early addition of manual-thrust manipulation leads to significantly greater reductions in low-back pain and improved function at four weeks. The belief of therapeutic equivalence between manual-thrust manipulation and mechanical manipulation devices isn’t supported by the current evidence, wrote the team led by Michael Schneider, Ph.D., assistant professor of physical therapy, SHRS. The study was supported by the National Institutes of Health and National Center for Complementary and Alternative Medicine. In late February, the Patient-Centered Outcomes Research Institute awarded $14 million to UPMC and Pitt through the HPI’s Comparative Effectiveness Research Center to lead a clinical trial to determine how well an intervention that helps people better understand their back pain early on works toward promoting recovery and ultimately preventing chronic pain.